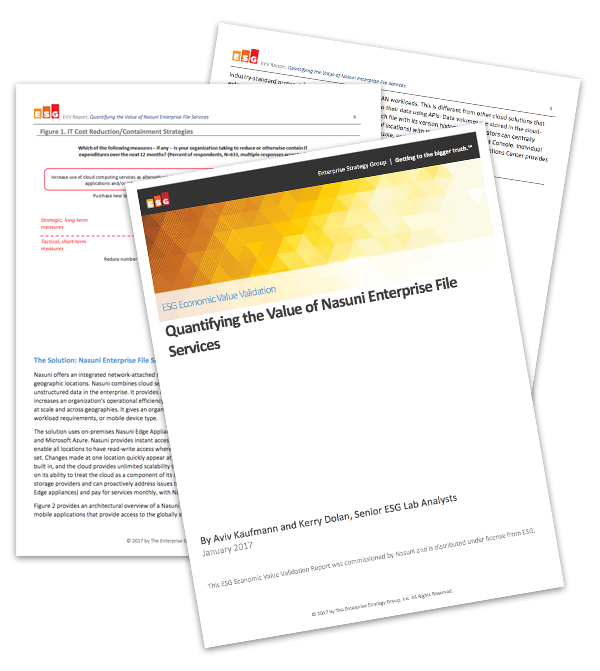 This Economic Value Validation (EVV) from independent analyst Enterprise Strategy Group (ESG) quantifies how much Nasuni can save over a three-year period. The report helps IT organizations compare the fully burdened costs and benefits of Nasuni and their preferred cloud storage to their “present mode of operation” (PMO). Download the full analyst report to learn more. Please fill out this brief form to receive your copy!